In 1962, Elder & Phillips was built on a foundation of trust, dedication, and service to the Grand Valley and its residents. That ethic remains the cornerstone of their business today. As proud community members, the E&P team volunteers their time to support local nonprofits, actively supports civic organizations, and maintains their long-term commitment to community improvement. Elder & Phillips' attorneys are supported by the sharpest administrative team in the business. With over 60 years of combined work experience in the legal field, they leave no detail unnoticed. 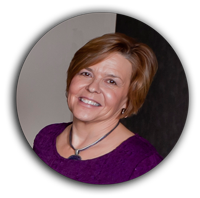 Crystal joined Elder & Phillips fresh out of college in 1981 and began her career working with the firm’s founding partners, Tom Elder and Walter Phillips. Crystal’s legal knowledge and expertise is broad, and she continues to be an integral part of the firm today. Known by friends as the “Queen of Coupons,” Crystal enjoys her church, hiking, camping, traveling, and time with her family. A Grand Valley resident since 1981, Beth serves as E&P’s expert bookkeeper. 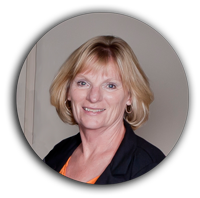 Her extensive background in accounting ensures that every detail is kept on track. Originally from Pennsylvania, Beth is a big Pittsburg Steelers fan and visits her hometown as often as she can. Beth enjoys children, family, and her mountain cabin. She plays an active role in her church community and volunteers her time at the Pregnancy Center. 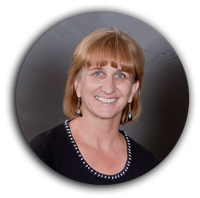 A veteran in the legal field, Vicki has over 30 years of experience with law firms in Grand Junction. She moved from Aspen to Grand Junction in 1988 and began working in the legal field. 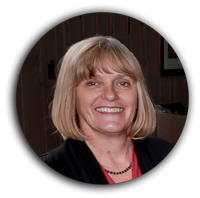 Vicki’s broad knowledge of litigation makes her particularly valuable to the E&P team. Vicki also enjoys camping, four-wheeling, hiking, traveling, and spending lots of fun times with friends. Originally from the San Francisco Bay area, Audrey became tired of the rat race and moved to Grand Junction for a more relaxed way of life. In addition to general legal expertise, Audrey also has a strong background in real estate, title, and escrow. Audrey enjoys traveling, bicycling, golfing, and hiking. While she loves her new Colorado lifestyle, she’s still an avid San Francisco 49ers fan. Copyright 2013 Elder & Phillips, P.C.